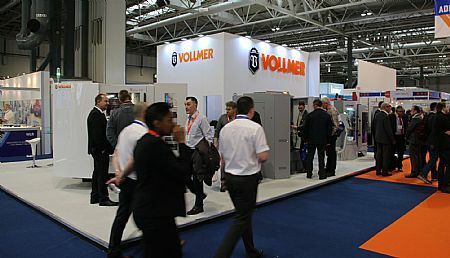 The MACH exhibition once again proved to be a huge success for Vollmer UK with the tool and saw blade grinding and sharpening specialists winning an order at the show as well as generating a high number of enquiries. 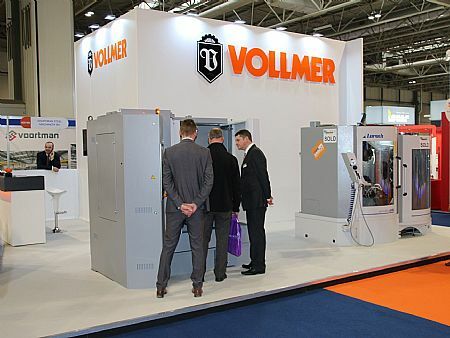 Vollmer had three machines on its MACH stand and each of the machines for cutting tool and saw blade production was very well received by show visitors. Making its debut at MACH 2018, the Loroch K850-M for processing metal-cutting saw blades got proceedings off to a flier with Birmingham based Precise Saw & Tool Ltd placing an order at the show. Purchased to add capacity to its existing operation, the Loroch K850-M has a 50 blade capacity and robotic load/unload for extended unmanned running. 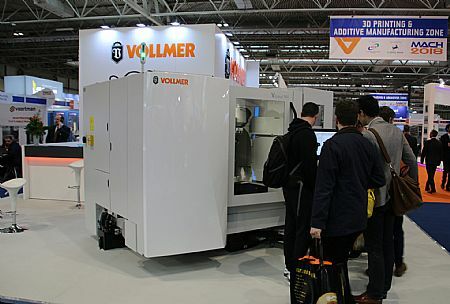 The centrepiece of the Vollmer stand was the new Vgrind 360 tool grinding machine that also made its UK exhibition premiere. The next generation Vgrind 360 is the successor to the Vgrind 160 model, now equipped with enhanced travel distances for accommodating carbide drills and milling cutters whose blanks are made from either solid carbide or carbide-tipped steel bodies up to 200mm diameter. With groundbreaking kinematics that incorporates two vertical spindles, the Vgrind 360 allows multi-level machining. This gives customers the facility to produce large numbers of milling cutters and drills quickly and precisely. At MACH 2018, the Vgrind 360 and its HP 160 loading facility for around-the-clock unsupervised machining generated a constant crowd and enquiry levels were unprecedented. The VGrind 360 is a new machine that achieves perfect interpolation through five perfectly harmonised CNC axes that have short travel distances and swivel ranges for all axes. This reduces processing times as non-productive times are slashed. With two grinding spindles, the machine can be loaded with different tools whilst an optional tool magazine with eight grinding wheel packages allows tools on the vertical spindles to be automatically changed. Incorporating the innovative NUMROTOplus software system that offers extensive options for the production and re-sharpening of tools, the Vgrind 360 is certainly a machine in demand following yet another successful MACH. 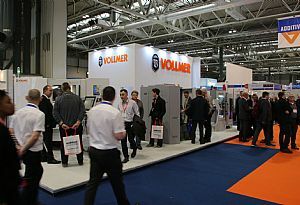 For cutting tool and saw blade manufacturers or sharpening companies that didn’t get a chance to attend MACH, please contact Vollmer UK to book your demonstration.